2013 has been another good year for me. When I finished 2012 I wanted to continue my Bittern and Fox photography, but knew that I would get very little photography done between March and July due to my A levels, which had to take priority. This was hard for me, as my local Foxes had cubs, but hopefully I'll manage to see them next year. In the rest of this post I'm going to go through each month with an image or 3 describing what I did. In January we had very cold weather in London, and a period of 3 days in the middle of the month when snow fell in the capital! Rather than run around trying to photograph everything, I was very keen to get out and photograph either Bitterns of Foxes. In the end I decided on the latter, and I think it proved to be a great choice! I spent pretty much 3 consecutive days from dawn till dusk out at the site. During February I was keen to continue photographing Bitterns at my local reserve. During my half term I spent pretty much every day there, and was rewarded with some great shots. It can be very frustrating because you may only get 1 opportunity in a day (or none!) so if you miss it it's not a great feeling! I managed to get a few that I was pleased with though. March was a very lean month for me photographically, I had quite a few mock exams so found very little time to get out shooting. This was my favourite shot, taken whilst waiting for Bitterns to appear! 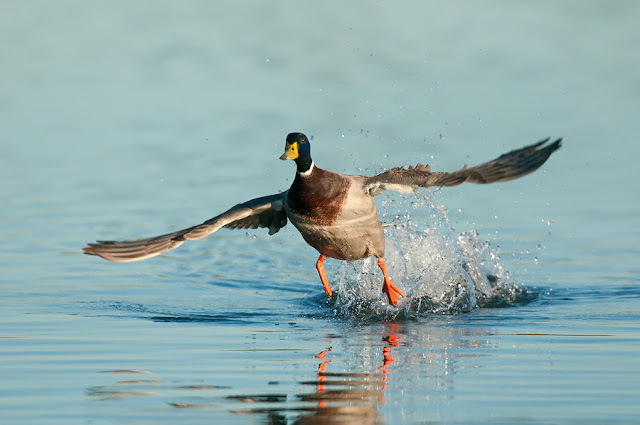 I cloned a bit of Tufted Duck out of the top right. My only photography this month was a trip to the East Coast for 4 days for a revision break! 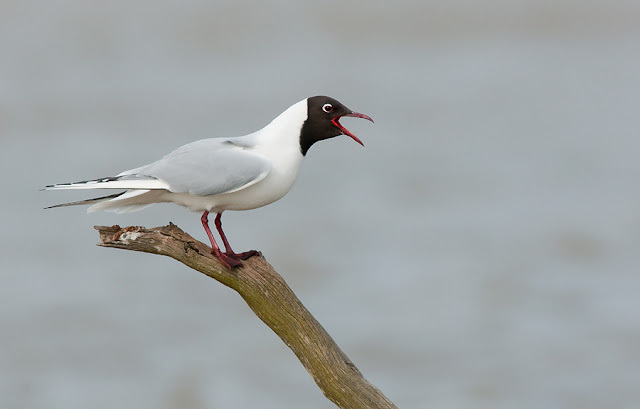 The weather wasn't great, but I did get some shots I liked, such as this one of a Black-headed Gull near its nest site. Again, a month where I only went out to take photos once! 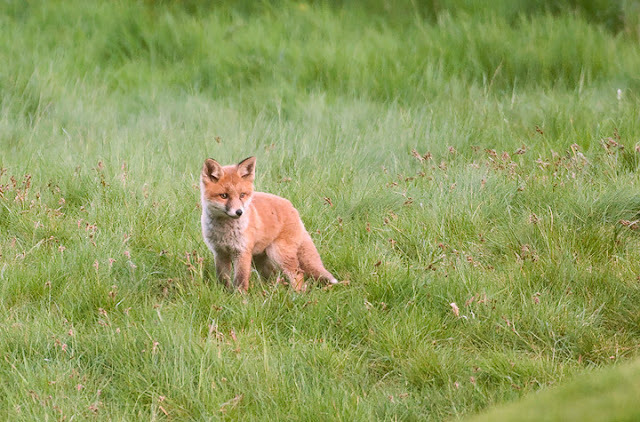 I managed to get out and so went to my fox site as I had seen them with cubs. When I was there without a camera I'd had fantastic views in lovely late evening light, but with a camera, this was the only time I saw them! In June I didn't actually get out once! This was of course due to a lovely set of exams called A levels. I had to watch the nice weather through my window as I spent hours and hours revising biology, chemistry and maths! Thankfully it paid off when I received my results at the end of August. During July I visited the Isle of May while I was on holiday in Scotland. This was my third visit to a seabird colony, after a visit to Bempton Cliffs several years previously and one to Skomer the previous July. 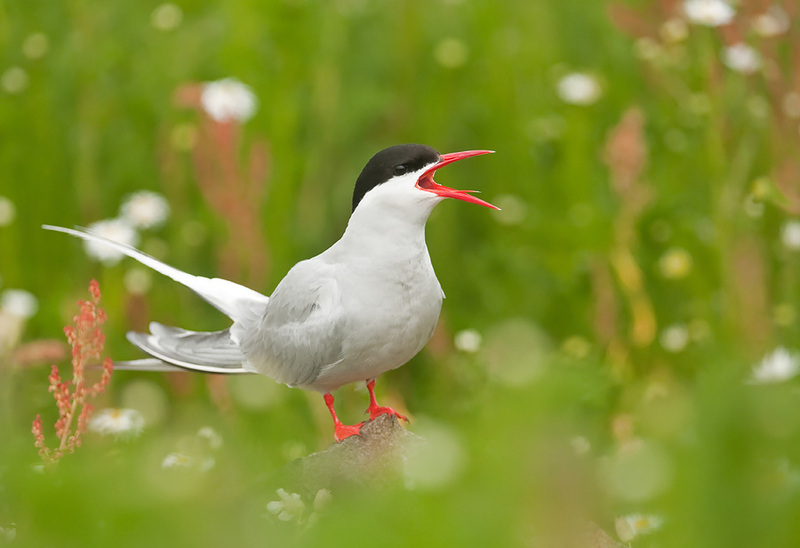 I particularly enjoyed photographing the Arctic Terns as they were a new species for me, but it was also great to try and photograph Puffins as they hurtled past me! 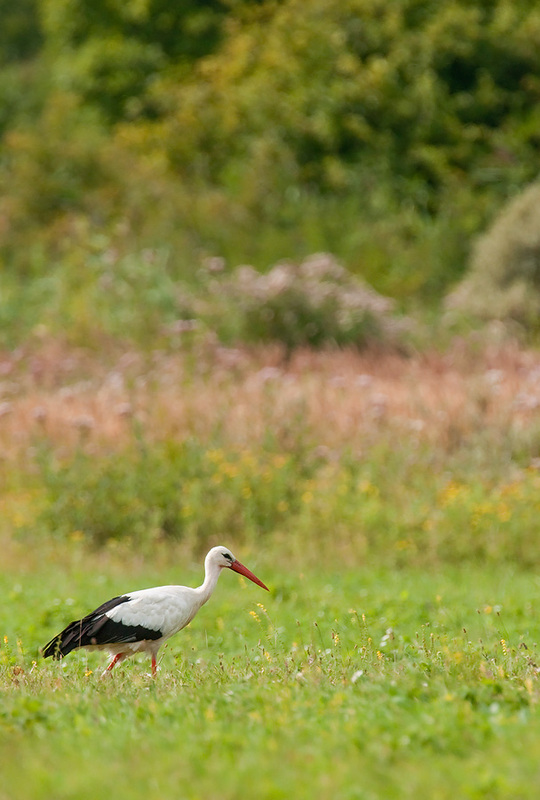 In August I was on holiday in France, and one day while driving through the countryside near the Somme Estuary I spotted some White Storks by the side of the road. Out of the shots I took this one was my favourite as I felt it shows the environment better. As part of my gap year I spent 3 months working between mid-September and mid-December, so I tried to fit as much photography as I could into the first half of this month. 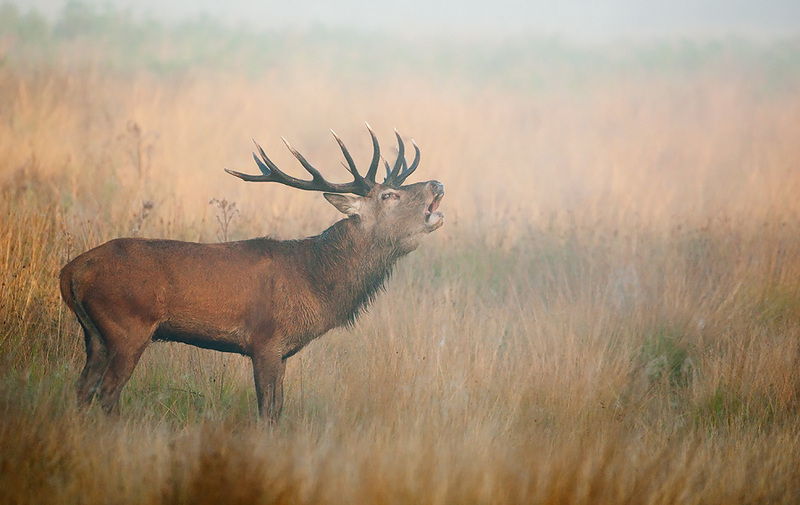 This was mainly in Richmond Park of the Red Deer rut. 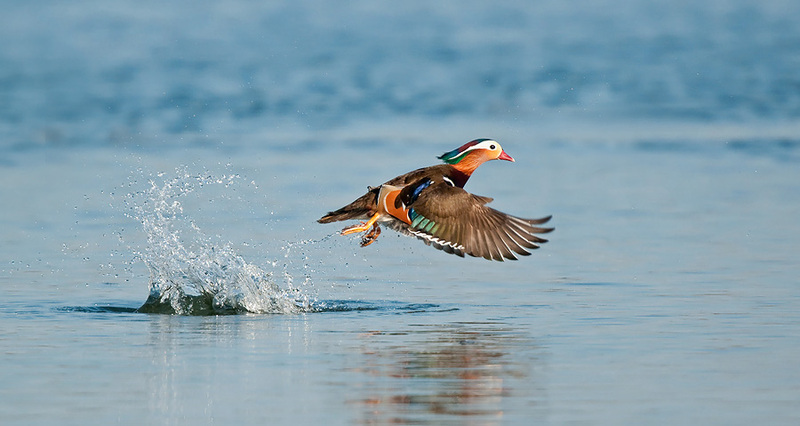 I particularly like this image because of the painterly feel I think it has and the colours in it. In October I was on holiday with my family in Iceland. It's a spectacular country and I am sure I will return one day. 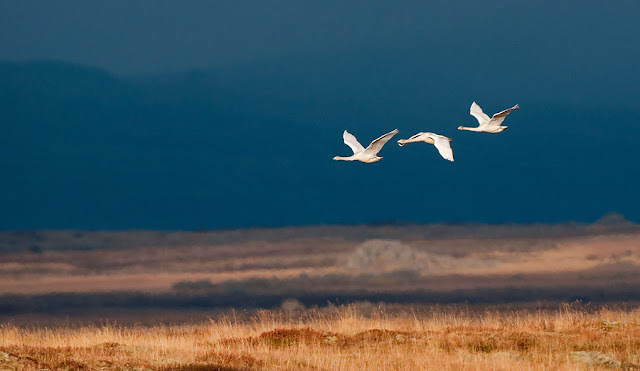 Being quite late in the year, there weren't many birds around, especially inland, but one day while driving we encountered a family of Whooper Swans on a roadside pool. 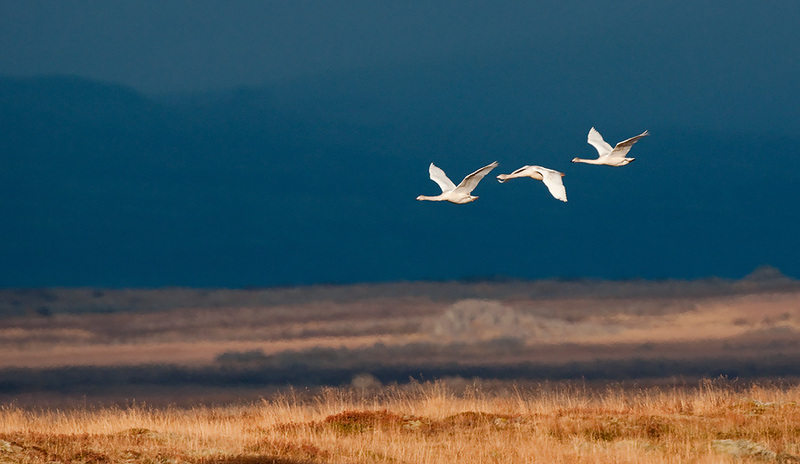 The light was gorgeous, and I love the blues in this image as the 3 immature birds flew past me. This was also when Wildphotos was held at the RGS in London, only a 30 minute journey on the tube. 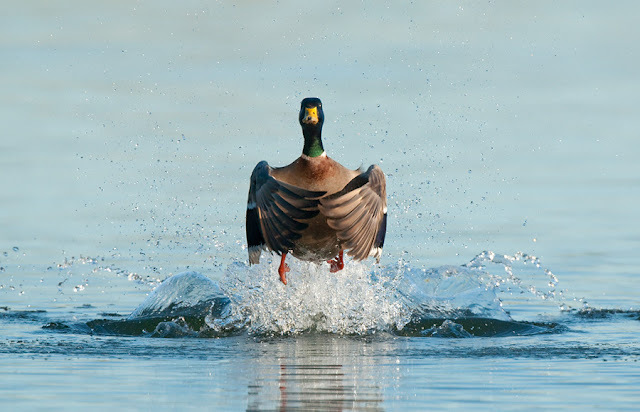 I've been for the last 3 years now, and urge any wildlife photographer who hasn't been to try it. The quality of the speakers, and of course their images, is fantastic, and definitely inspires me! It was also great to meet some friends there, and make some new ones! 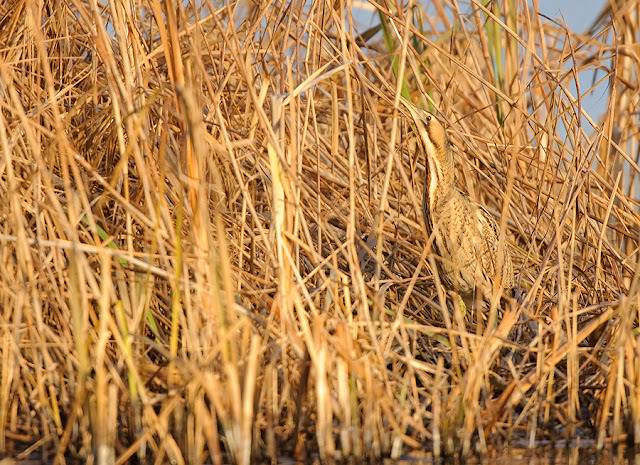 November saw me back at my local reserve trying to photograph the elusive Bittern again. 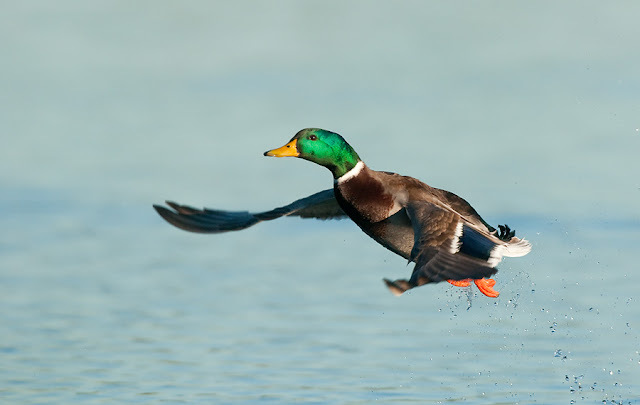 I didn't have much luck due to a combination of factors, but while I was waiting there were plenty of other things to photograph, such as the mallards which would take off each evening and fly over the hide. Again, most of my photography was at my local reserve, and again I didn't have any luck with Bitterns! 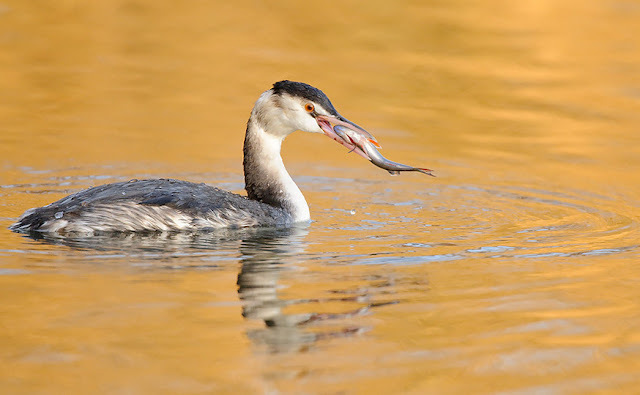 I did enjoy photographing a Great-crested Grebe that fished in front of the hide regularly though, and the colour of the water in the evenings was amazing. In 2013 I was very pleased to have my images awarded in two competitions. 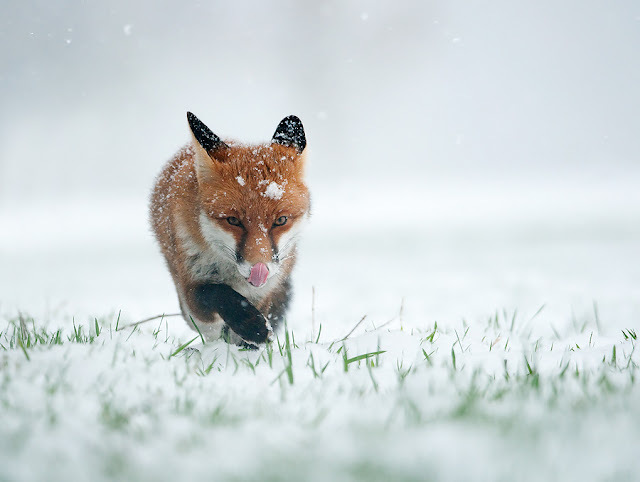 I had an image shortlisted in the British Wildlife Photography Awards, and was Runner-Up in 2 categories in the RSPCA Young Photographer Awards! Next year I'll be in adult categories for all competitions, so it's quite a daunting prospect! Next year I've got a few exciting plans lined up. I've just bought a Nikon D800 and a wide-angle lens so am looking forward to getting to use them. I'm also hoping to do some more photography outside the UK, but more on that nearer the time. Hopefully I'll keep photographing Bitterns, and I'd love to be able to photograph Fox cubs, having been thwarted by exams last year! All that's left is for me to thank all of you for reading my blog for the past year. I know I haven't updated it regularly, especially compared to 2012, but I'll be making a big effort to improve on that now that I've got some more time next year! I've seen some wonderful animals this year, and met some equally wonderful people, so hopefully that will carry on in 2014. Thanks again, and see you out there! My winter photography has so far been concentrated on photographing my local wintering bitterns. I was hoping by this stage to have some images to show you. I say hoping, because this was the plan. Unfortunately I have no decent photos to show you, due to a combination of circumstances such as me not being able to get down there as much as I'd like, and the fact the conditions haven't been favourable for them coming near the hides. 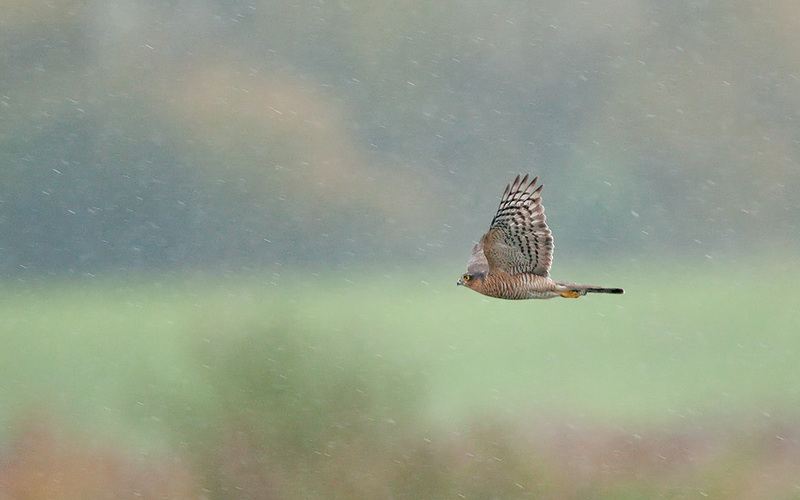 While I've been waiting, however, there's been plenty of other birds to photograph. 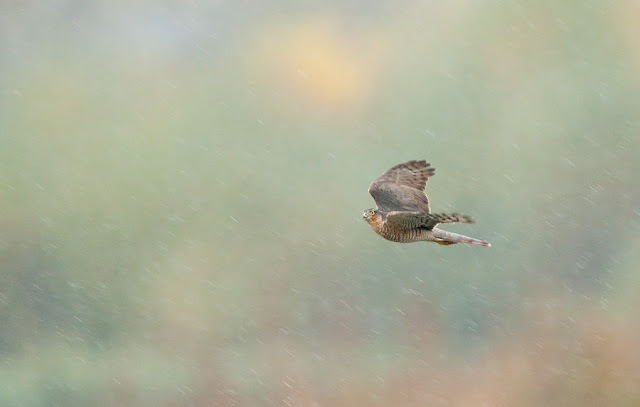 One such bird is the sparrowhawk. 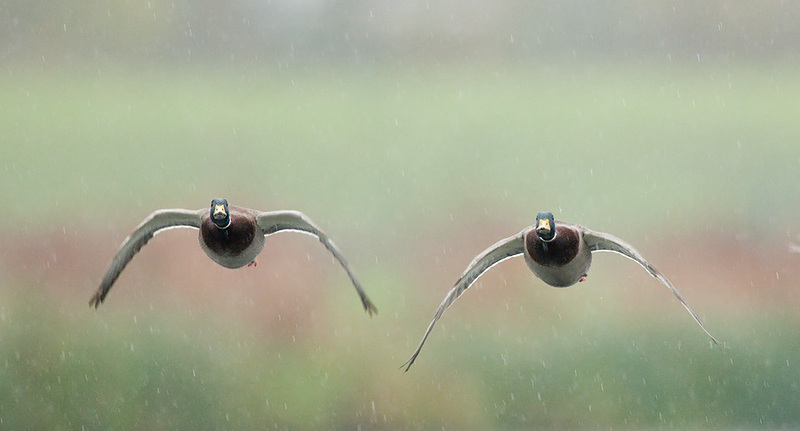 Both the male and female often fly across in front of the hide whilst hunting for snipe, and I managed to capture a couple of shots in the rain one morning. 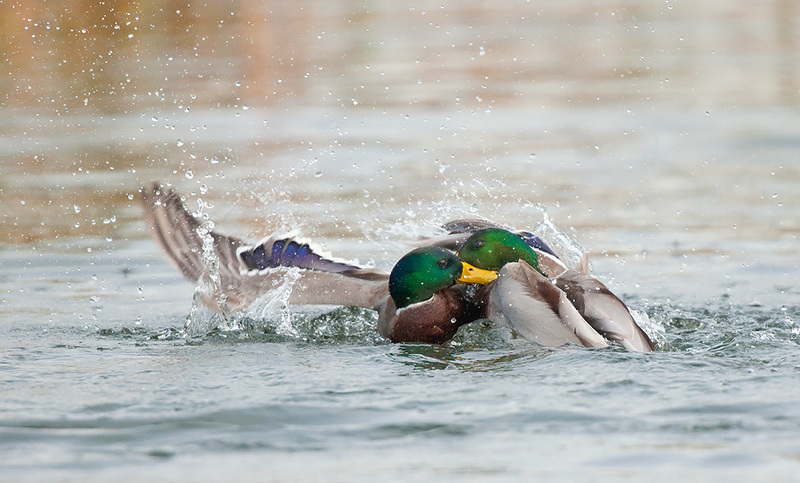 On the same morning I also spent some time photographing the mallards. On another afternoon, when as usual the bitterns weren't showing, I focused on capturing the mallards as they took off. I couldn't leave it without showing any bittern photos, so this is about as good as it gets so far I'm afraid. Oh well, still a long time before they fly back to Europe! Hopefully next time I'll have something more promising to show you!